 We look forward to seeing you in Orange City for Tulip Festival! We’ve noted the answers to some common festival questions below. If you’d like more information or have additional questions, please contact us! Orange City’s annual Tulip Festival takes places each third weekend in May. The 78th annual festival is set for May 17, 18 and 19, 2018. Is there a cost to attend the festival? There is not a cost to attend the festival itself, though some specific events and attractions do have a small fee. Click here for ticketing information. Where is parking for the festival located? Various options for parking are available for Tulip Festival. You are welkom to park your vehicle on the street, as there are many side streets within walking distance of the festivities. Vehicles can also be parked at Unity Christian High School (216 Michigan Avenue SW) and MOC-Floyd Valley High School (615 8th Street SE), as you are welkom to use our shuttle service for your transportation between festival events and attractions. Handicapped parking for the parade is located on Arizona Avenue. A handicapped parking permit is required. What is the Tulip Festival shuttle service? Our shuttle service runs from 9 a.m. to 8 p.m. each day of the festival, and is not available after the Night Show. The shuttle service tickets provide all day, unlimited transportation to the designated stops. Shuttle stops include Unity Christian High School, MOC-Floyd Valley High School, the Century Home, Hampton Inn, Quilt Show, Vogel Old Mill, Veteran’s Park Campground and various stops on Albany Avenue. Tickets for the shuttle are $5 per person, and can be purchased on the shuttle vans or at the Windmill Information Booth during the festival. Shuttle tickets are valid for one day, so new tickets will need to be purchased each day you wish to use the service. If you purchased a value book or choose to do so during the festival, a shuttle service ticket is included in the book. Where are the Tulip Festival events and attractions located? Other than the Night Show, Quilt Show and Vogel Old Mill, all events and attractions are located within walking distance of our city centrum. If you’re using a GPS, we recommend searching the City of Orange City for directions, which will guide you to the Town Hall (125 Central Avenue SE). You won’t be able to drive directly to the Town Hall as the street will be closed for the festival, but it will bring you to the area of our city centrum. The Night Show is located on the southwest side of Orange City in the Unity Christian Knight Center, located at 216 Michigan Avenue SW. The Quilt Show is located on the southeast side of Orange City in the Prairie Winds Event Center, located at 908 8th Street SE (Highway 10). The Vogel Old Mill is located on the south side of Orange City at 1110 Albany Place South. Can you send me a Tulip Festival brochure? Yes, we would love to send you a Tulip Festival brochure! If you’d like to receive one in your mailbox, please send us an email with your name and mailing address or call our office. Where can I purchase wooden shoes? 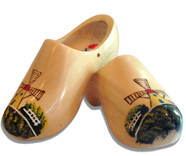 Orange City’s own design of wooden shoes, as designed by Orange City’s second wooden shoe carver and pictured below, can be purchased at the Tulip Festival office (509 8th Street SE) throughout the year and at the Straat Winkel during Tulip Festival. Plain wooden shoes that can be stained or painted can be purchased at Jubon Juweelen (107 3rd Street NE) and Crafts Central (207 Central Avenue NE) in Orange City. When will the tulips bloom? We plant a variety of early, mid- and late-blooming tulips in Orange City to do our best to have tulips in bloom during the festival. The majority of the tulips usually bloom in mid-May, but weather plays a major role in the timing of the blooming tulips. Can I bring my dog to Tulip Festival? Dogs are allowed at the festival as long as they remain on a leash; however, they are not allowed in any festival events or attractions. Service animals are welkom. How many people attend Tulip Festival? An estimated 100,000 visitors join our annual festival over the course of the three days. Where do I find patterns to sew Dutch costumes? Several Dutch costume patterns are available at the Orange City Public Library on a year-round basis. You can also contact members of our Dutch Costume Committee for additional patterns or to have a costume made. How many tulip bulbs are planted in Orange City each year? An estimated 50,000 tulip bulbs are planted throughout our community each year, all of which are imported from Holland. You can find beds of tulips at several locations including: the Tulip Festival/Chamber of Commerce office, Veterans Park, Windmill Park, the Vogel Old Mill, Orange City Area Health System, down Central and Albany Avenues and at Tulip Town Bulb Company. Are there additional Tulip Festival events throughout the year? Tulip Court Election – The Tulip Court election for the upcoming festival takes place each September. Tulip Queen Pageant – Our Tulip Queen for the upcoming festival is crowned in November. The Night Show production for the upcoming year is also announced at the pageant. Ticket Sales Begin – Ticket sales for the upcoming festival begin in early February each year. Tickets for the Tulip Festival Extravaganza, Night Show, reserved parade seating and value books are sold at the Tulip Festival office. Tulip Festival Extravaganza – Our spring kick-off event, the annual Tulip Festival Extravaganza, takes place in March. The costumes of our Tulip Queen and Court are revealed and the parade marshal for the upcoming festival is introduced. Dutch Costume Exchange – The annual Dutch Costume Exchange takes place in early April. Individuals are invited to buy and/or sell authentic Dutch costumes for children, youth and adults.